Each year, faculty in the College of Arts and Sciences are recognized for their contributions to the college, the university, and the impact of their teaching and research at the annual faculty awards dinner. One member of the Department of History received an award at this year’s event, which took place Thursday, December 1, 2016. The Faculty Outreach Award recognizes extraordinary contributions of faculty to the public that occur as an outgrowth of academic pursuits related to the University’s academic mission. Recipients have demonstrated outstanding contributions to the public stemming from their academic expertise. This year’s recipient was Daniel Feller, professor in the Department of History. For over a decade, Professor Feller has succeeded in making the Andrew Jackson Papers project one of the most important and visible presidential papers projects in the country. From a local to national level, Feller has distinguished himself by bringing enormous energy and creativity to the job of helping the American public think more carefully about Andrew Jackson and his legacy. In addition to giving invited talks at scholarly conferences, Feller speaks with the media on a regular basis; making UT the place to go for journalists, popular writers, and teachers who want to get the story of Andrew Jackson right. The works produced under Feller’s leadership are deeply researched, and have already proven to be invaluable resources for those outside the academy. He is generous with his time in advising historic societies, speaking to teachers, and he played a central role in the history department’s partnership with the East Tennessee Historical Society. 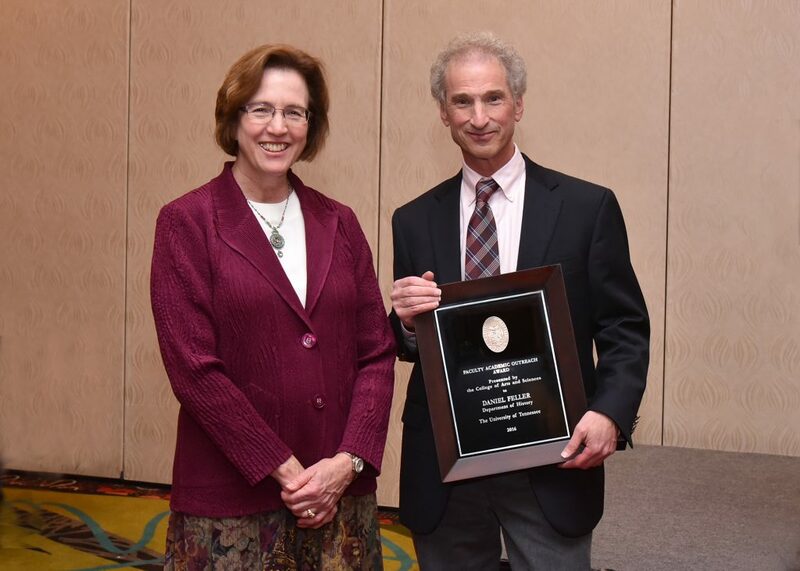 Congratulations to Professor Feller for his achievement.